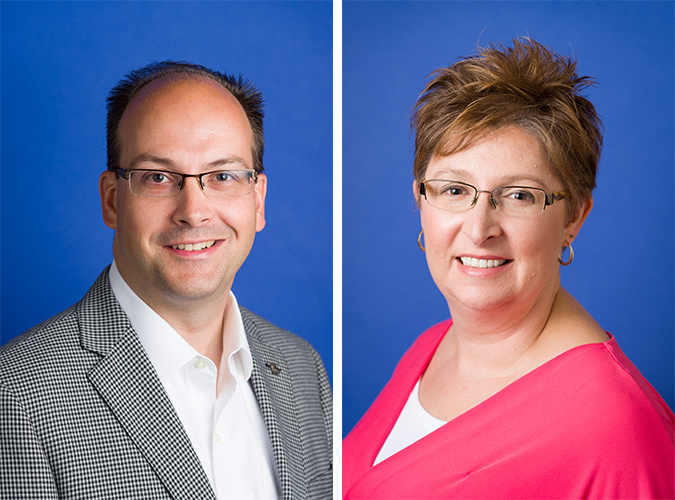 Andrea Phillips, PE and Chris Ertl, AIA, LEED AP BD+C will present at the MOAPPA Conference on Tuesday, March 14th, 9:00-10:00 a.m. at Washington University in St. Louis, Missouri. Their topic is "Lab Sustainability - Things You Can Do Now!" With limited resources and demands to do more with less, being more sustainable can seem out of reach. Up-front initial costs and the fact that buildings will be occupied during any changes can be a hindrance to many green efforts. However, labs are the typically the single greatest user of energy and resources and even small efforts can provide extensive savings over the remaining life of your laboratory facilities. The session is designed to show several low-cost, easily implemented steps that can be taken immediately to get the most out of your STEM and Research facilities. From an Operational Improvement perspective, the speakers will present ways departments are increasing students per sections and sections per week in existing spaces. Next, several small changes in lab systems which have major impacts in operational costs savings will be showcased. A high level overview of the requirements of the 2015 IECC, ASHRAE 90.1-2016, and ASHRAE 62.1-2016 will be presented, followed by a discussion of new and simple cost savings strategies that are being employed in existing buildings as ways to (1) meet sustainable design requirements, (2) lower energy consumption, and (3) address concerns for ease of maintenance. Areas covered will include reducing ventilation and supply air volumes through proper system application, reducing energy consumption through fan array technologies as well as reducing and power consumption through lighting replacement and plug load management. The MOAPPA Annual Conference is an exciting opportunity to bring together higher education facility professionals, supervisors and employees in a venue ideal for learning and idea sharing through interaction with peers and business partners, in addition to "on point" educational sessions. For more information, visit the conference website here!